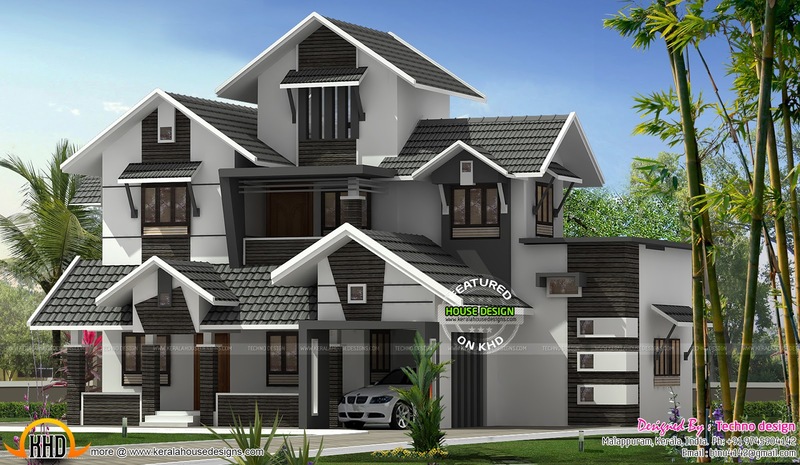 Modern mix sloping roof house exterior in 2270 Square Feet (211 Square Meter) (252 Square Yards). Design provided by Techno design, Malappuram, Kerala. 0 comments on "Modern Kerala home design"